Joseph Philip Forte is a partner and Chair of the Real Estate Finance practice. Mr. Forte has substantial experience in commercial real estate, capital markets and finance, with a particular emphasis on the origination, structuring, workout and enforcement of commercial mortgage loans. His experience includes permanent, bridge and construction mortgage lending; mezzanine finance; pari passu and subordinate debt; co-lending and participation agreements; loan sales and purchases; loan workouts, foreclosures and restructurings; and environmental risk management for lenders. 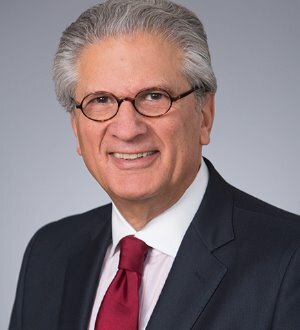 He regularly advises lenders and investors on mortgage banking, doing business licensing, usury, federal preemption and investment authority, as well as secondary mortgage and capital markets issues. Joe also represents traditional portfolio lenders as well as special servicers in CMBS transactions, whether as stand-alone transactions or in complicated capital stacks involving senior mortgage debt, subordinate B-notes or mezzanine debt with intercreditor, participation and co-lender arrangements. His workout experience began with the failure of the early mortgage REITs in the mid-‘70s; the interest rate spike and disintermediation crisis in the late ‘70s and early ‘80s; the partnership syndication crisis subsequent to the adoption of the Tax Reform Act of 1986; the savings and loan crisis and the RTC workouts in the early ‘90s; the market disruption after the Asian Flu crisis in August 1998 through the most recent financial crisis over the last decade. He has dealt with a wide array of disparate issues in resolving problem loans with the support of experienced partners in litigation, bankruptcy, corporate banking and tax practices. In addition, Joe has advised FNMA and FHLMC on a variety of issues. He has also represented the nation’s commercial real estate finance industry in the development of the ASTM’s original environmental risk assessment standards; with others in the adoption of the 1994 Bankruptcy Code amendments; as principal draftsman of the Capital Consortium’s Capital Markets Ratable Mortgage form; and in defeating the American Land Title Association’s original creditors’ rights exception to its title insurance policies across the U.S. He was also involved in obtaining the New York state tax authorities’ acceptance of CMBS defeasance and the use of consolidated mortgage notes in commercial mortgage transactions in New York; in the drafting of a standard co-lending agreement for the Life Insurance Company Task Force of the Mortgage Bankers Association; as amicus curia in the GGP and ESH bankruptcies; as a draftsman in the CMBS industry effort to establish standard mandatory nonbinding mediation procedures governing mortgage putbacks for representation and warranty breaches in CMBS transactions; and as co-chair of the Real Estate Roundtable High Volatility Commercial Real Estate (HBCRE) Working Group developing regulatory/legislative clarification of the HBCRE Rule as it affects construction lending.